♥ it's profitable. in addition to the face value, the store usually receives an eight cent fee for accepting a manufacturer's coupon. 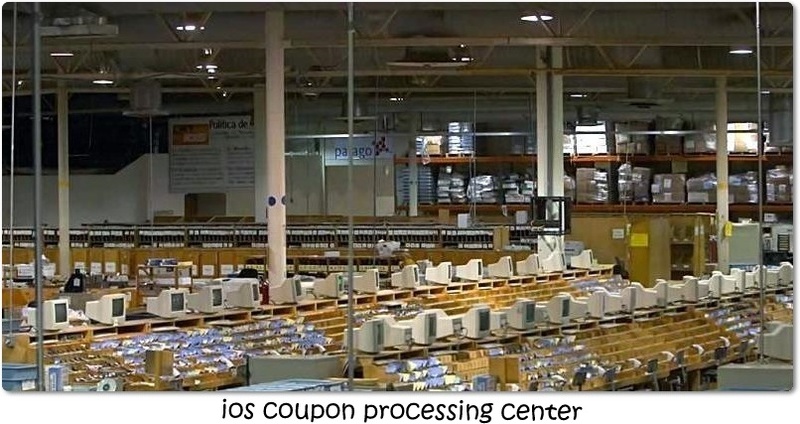 this covers the cost of processing the coupon for redemption and then some. coupons are sent in plastic bags or pouches to the store's corporate headquarters, typically once a week. corporate headquarters then boxes all of the bags of coupons (still separated by the individual stores from which they came) and ships them to a third-party clearinghouse. one system places scannable coupons face up on a conveyor belt, where they are moved along under a scanner that reads the upc codes. damaged coupons that can't be scanned have to be sorted by hand and added up separately. the other system is to do the whole thing by hand. some clearinghouses outsource this work to other clearinghouses - in mexico, for example. in football field-size warehouses filled with long tables, computers and numbered boxes laid out in grids, thousands of people, almost all of them women, empty sacks of coupons that arrive from the united states by the truckload. they then sort and scan the coupons. the clearinghouse is paid a certain amount per coupon by the retailer, plus shipping and handling. in some arrangements, the manufacturer pays the amount of the invoice to the clearinghouse, and the clearinghouse pays the retailer after deducting its payment. in other cases, the manufacturer will pay the retailer directly, and the retailer then pays the clearinghouse its fee. in some cases, the manufacturer will recount the coupons to avoid fraud - a process that may send the coupons through another clearinghouse! the whole cycle takes about a month. fsi (free standing insert, sunday newspaper insert) coupons are usually considered very secure because they are printed in color and on glossy paper. 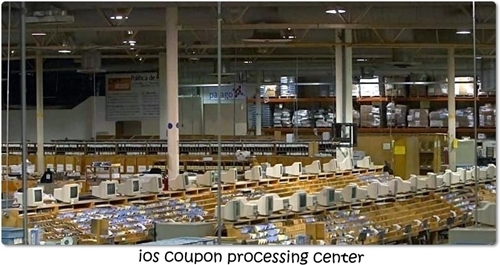 however, a simple color copier and glossy paper can make copies of coupons that are virtually undetectable. since fsi coupons do not have unique coding, manufacturers and retailers are unable to easily detect counterfeits. internet printed coupons have unique security codes that can be verified. however, this verification is not performed until after the coupon has been redeemed! while consumer misredemption seems to be the major concern we hear about in the news, most manufacturers are more concerned with retailer fraud. under the current system, manufacturers are reimbursing stores for coupons without knowing who redeemed them, whether the correct product was purchased, and when and where it was redeemed. this creates an opportunity for dishonest retailers to add unredeemed coupons to the coupons submitted for reimbursement. 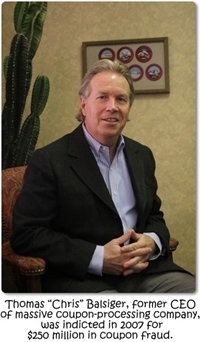 even larger opportunities for fraud exist at the clearinghouse level. clearinghouses can manipulate coupon submissions, deductions, charge-backs or adjustments to the retailer and/or manufacturer. electronic clearing systems have been proposed that would enable retailers to scan and validate coupons immediately. when the coupon is redeemed by the consumer, the system would capture the consumer's name or id #, the product purchased, the cash receipt number, the date, the time, and the store location. all of this information would be transmitted to the manufacturer electronically and coupons would not need to be sent to a clearinghouse. paper coupons would then be stored for a certain amount of time in case of any need for an audit. another system seeks to eliminate clipping coupons, with a key chain size scanner branded and distributed by retailers to customers. the customer scans a coupon with the push of a button, or downloads it to the device from their home computer. later the consumer can dock the coupon scanner at the checkout lane to redeem the coupon. the device could also be used to redeem paper coupons for online shopping. the software would keep track of the number of redemptions by a customer and only allow them to redeem a coupon the number of times specified by the coupon.